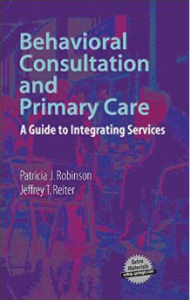 In this book we present readers a guide for providing health and MH care in a radically different fashion- one that begins to better meet the needs of the population. Called Primary Care Behavioral Health (PCBH) this model of care involves delivery of Behavioral Health Consultant (BHC) services in a PC clinic and differs in many respects from traditional MH care. It is also designed to change the way PC is conducted. As noted by Strosahl (1998), an early developer and proponent of the PCBH model, this model is best considered as a form of health care rather than mental health care. The goal is not to replace the specialty MH care system, but rather to improve the treatment of behavioral problems in PC. In doing so, the functioning of the PC system in general can improve, and attention to other health needs of the population can increase.